These 2 bedroom, 2 bathroom lofts are split between two levels. 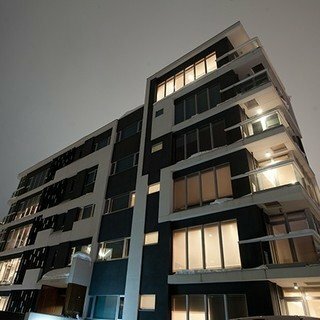 Each apartment offers exceptional views of Mt. Yotei with floor to ceiling windows, a gas fireplace, and contemporary concrete and steel interior designs. Nara oak floors and a custom Miele kitchen complete the perfect mix of luxury and comfort. "We loved every aspect of our holiday at Niseko. 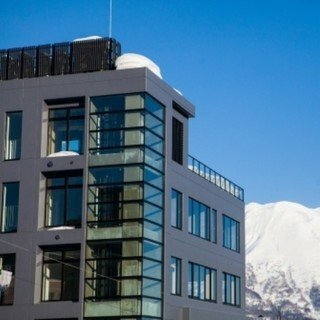 Staying at Suiboku is the highlight as the loft is in the middle of Hirafu, access to every point of Niseko is very convenient, especially it’s walking distance to restaurants, and shops. Suiboku also gives the driving services to all of over Niseko area which comes in handy. The loft itself is fabulous & luxurious equipped with full kitchen & washing machines, feels very comfortable & cozy. We really appreciate all people attended to us at Suiboku (Mitch, Tom, Joey, and others) with their Southern friendliness and expertise on Niseko & ready to take us anywhere around Niseko area. 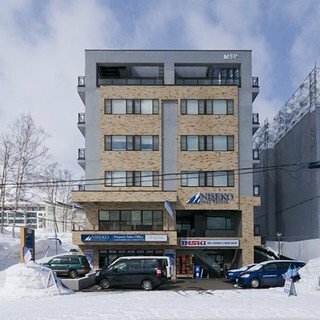 Taking skiing & snowboarding lesson at Hanazono is the best option given to us & we indeed enjoyed every activity at Hanazono 308. Our 4-year-old girl loved the TicTac program by NISS, my husband picked up a new hobby of snowboarding, & our 2-year-old girl loved sledding by herself & the magic carpet ride. Not to mention, our 70 yo parents enjoyed the snowmobiling. It was definitely an unforgettable holiday experience for our family & a big thanks to Vacation Niseko who has helped to arrange everything for us." "Suiboku was a fantastic place with great amenities, fantastic location and wonderfully helpful staff who helped make the stay unforgettable. The loft was beautiful and we will definitely be heading back there!" "Great location seconds from the lift/ski school/ski rental. Great apartments with everything you would need. Lovely and very competent concierge people." "Great ambience with modern zen accommodation place in Hokkaido! With high standard customer satisfaction provided for each guest." "Beautiful Loft, close to slopes."